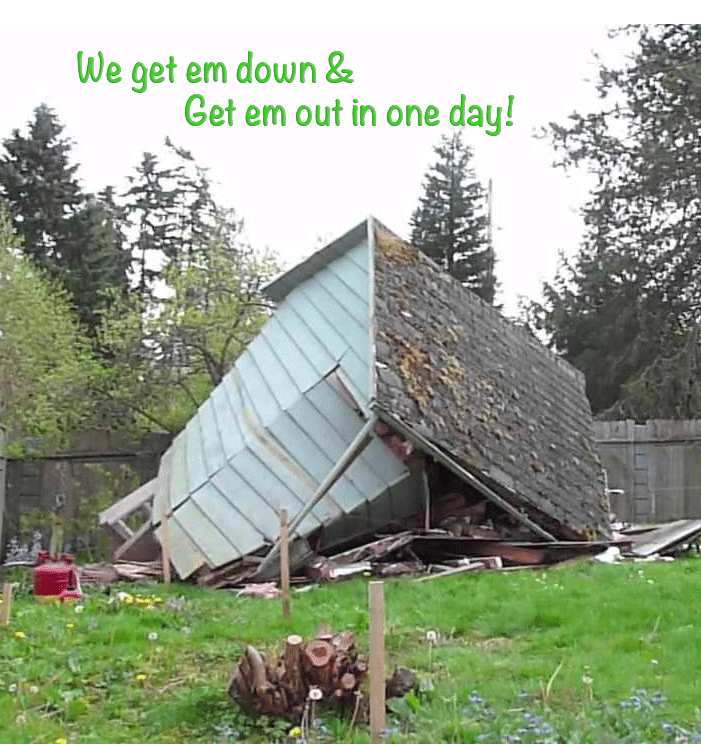 Pricing can vary greatly depending upon how far we need to drive, the volume of the shed, the size, weight, and the logistics involved in tearing it down and respectfully removing the debris without causing damage to your landscaping. Shed removals start as low as $149 and can go as high as $750-$800. The best way to get a price is to have us come out and offer a free estimate with no obligation to earn your business. One more thing to consider, every now and then a shed is being removed for other reasons then disrepair, in these events sometimes we will offer to do the removal for half of what it would normally be or even for free if we feel we can potentially salvage and resell the shed. *We guarantee the lowest rate when compared to other legitimate, professional, and comparable companies. We reserve the right to not match a price below our operating costs. We always like to come out and meet our customers, so the first step to starting the process is having us come out and take a look at the scope of your shed or garage removal. We will assess the sheds weight, size, and volume. Inspect the lay of the land to determine the best way for removing the demo & debris, and finally determine a strategy for the tear down. After inspecting the shed / garage and the land we will offer the lowest quote we can to earn your business in writing. We do not cut corners but we do give our customers the maximum value for their hard earned dollars so you keep us in mind for the other services we offer in the future. Our aim is to earn your business more than just once, whenever you need anything removed. 🙂 If you accept the price we can typically have a shed removed and disposed of within two to three days of doing the estimate.